The Azerbaijani parliament has approved amendments to the country’s civil code that would effectively bar roughly 90 percent of the country’s legal professionals from practicing law. The amendments, adopted on October 31, require presidential approval before they go into effect. They would give the state-controlled bar association complete control over the legal profession. Observers, as well as members of the legal community, characterize the move as the latest and most decisive step in an escalating crackdown on the country’s few remaining human rights lawyers. Less than 24 hours after Azerbaijan’s parliament ratified the changes, several lawyers reported being summoned to their local police stations, where they were told they were no longer licensed to practice law and would be subject to arrest or fines if they continued. The amendments herald the end of a two-tiered legal system that Azerbaijan adopted under pressure from its fellow members in the Council of Europe. Azerbaijani lawyers are either vəkillər, licensed bar members who pass a series of written tests and a highly politicized oral examination, or hüquqşünaslar, registered lawyers who have not passed the bar but, until now, have been entitled to represent clients in all non-criminal courts. Under the amendments, an estimated 8,000 registered lawyers stand to be barred from representing clients in any Azerbaijani court, leaving a nation of nearly 10 million people with only 934 registered legal professionals. At roughly nine lawyers per 100,000 people, that would be a ratio that is 18 times lower than the European average, and by far the lowest figure of any Council of Europe member. In an interview with Azerbaijani news site QafqazInfo, Chingiz Ganizade, an unaffiliated Azerbaijani MP who voted against the amendments, pointed out that 934 lawyers could not possibly handle the 370,000 cases currently pending in civil and administrative courts, and that legal fees would necessarily increase beyond the reach of most Azerbaijanis, driven up by the short supply of lawyers. He also worried about the 2,000 lawyers he said were involved in Azerbaijan’s seemingly never-ending process of resettling internally displaced people (IDPs) from the Nagorno-Karabakh War. In the past year, there have been several protests by IDPs over poor living conditions, and a lack of even nominal access to justice, along with the ongoing effects of a persistent economic downturn, could easily exacerbate discontent. Ganizade acknowledged the amendments’ purpose was to curtail the activities of lawyers whose “activities were against national interests” – apparently referring to vəkillər and hüquqşünaslar who irritate the government by repeatedly appealing to the European Court of Human Rights (ECHR). But he added that the adopted amendments were excessive. “If the arm hurts, cutting it off will not help; it must be cured,” he said. “After the implementation of the amendments, most current litigants will lose their lawyers and representation, and possible [future] litigants will have hardships finding lawyers,” said Samed Rahimli, an Azerbaijani lawyer and member of the ad hoc lawyers’ advocacy group, Praktik Hüquqşünaslar Qrupu (Group of Practicing Lawyers), which coalesced in October to lobby against the amendments. Rahimli added that many Azerbaijani districts lack even one vəkil, a consequence of the bar only admitting 500-600 vəkillar in the past decade. Neither the bar association nor the government has expressed interest in changing this situation. What the government is interested in is its international image. It has spent tens, if not hundreds of millions of dollars over the past decade on hosting international sporting events and other high-profile activities, in large part to cast Azerbaijan as a cosmopolitan and modern state in the eyes of the international community. Lawyers who call attention to Azerbaijan’s poor rights record by filing cases with the ECHR undermine the image that authorities are seeking to project. Lawyers who defend high-profile political prisoners or file numerous cases to the ECHR are often threatened with disbarment, or disciplinary measures on vague charges of ethical violations. A typical example is Khalid Bagirov, a prominent lawyer who was disbarred on questionable ethics charges in 2015 in what is widely believed to be retribution for his defense of imprisoned opposition politician Ilgar Mammadov, in addition to a number of other high-profile political prisoners. Several high-profile lawyers are currently facing disciplinary proceedings, the threat of disbarment, or routine harassment by security officials. Spurred by the latter scandal, Council of Europe has taken unprecedented legal steps to force Azerbaijan to comply with the ECHR’s decision and release Mammadov. For its part, Baku has threatened to withdraw from the Council entirely, although analysts are skeptical the government will follow through. 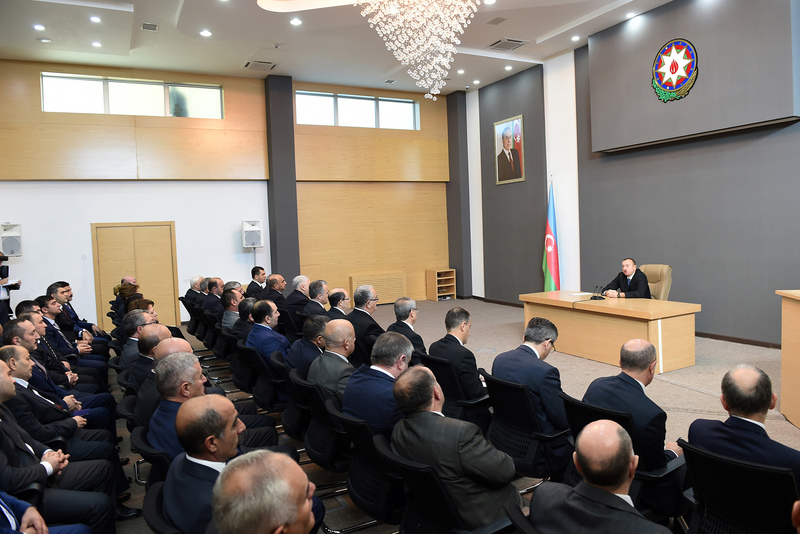 President Ilham Aliyev still holds the power to veto the amendments, and, taking into account the havoc the amendments would wreak on the Azerbaijani judicial system, there is a slight chance he may choose to do so. The amendments could turn out to be an attempt to bully independent-minded hüquqşünaslar into submission, rather than legislate them out of existence. They also may constitute a test case in which Azerbaijan is pushing the boundaries to see how far western governments will permit Baku to stray from its international norms governing basic rights without facing serious consequences. Mike Runey is a program officer for Eurasia at Civil Rights Defenders.